IJOY Solo V2 Kit is a powerful vaping device consisting of 200W Solo V2 Box MOD and IJOY Limitless Sub Ohm tank. With a built-in IWEPAL chip, the box mod supports temperature control for Ni, Ti and SS coils as well as TCR mode and taste control mode. IJOY Solo V2 Kit consists of a Solo V2 200W Box MOD and a 2ml IJOY Limitless sub ohm tank. 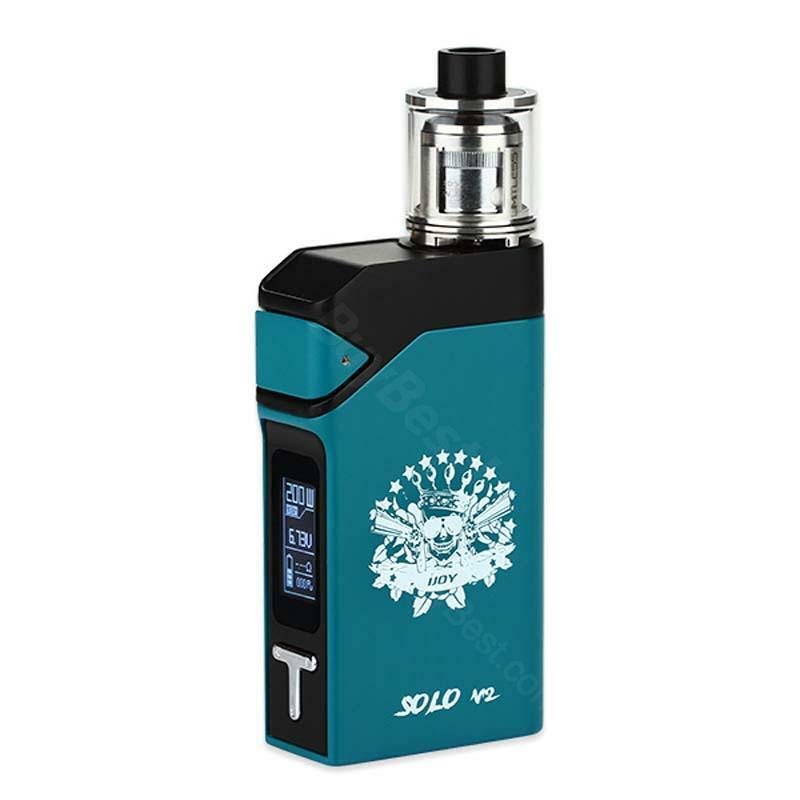 Powered by dual external 18650 batteries, the Solo V2 can fire up to 200 watts. With a built-in IWEPAL chip, the box mod supports temperature control for Ni, Ti and SS coils as well as TCR mode and taste control mode. Any user can update the firmware via the USB port. IJOY Limitless sub ohm tank comes with a 2ml e-juice capacity and a 0.3ohm dual coil. • You can buy IJOY Limitless sub ohm tank,replacement Chip Coil-L / Chip Coil. Really a fantastic e-cig for who want to start to vape, also has powerful storage capacity of the battery. COOL! Bin völlig begeistert. Langes und intensives "Rauchvergnügen ". Kann ich nur IJOY Solo empfehlen, dem es schwer fällt mit dem Rauchen komplett aufzuhören. Top!